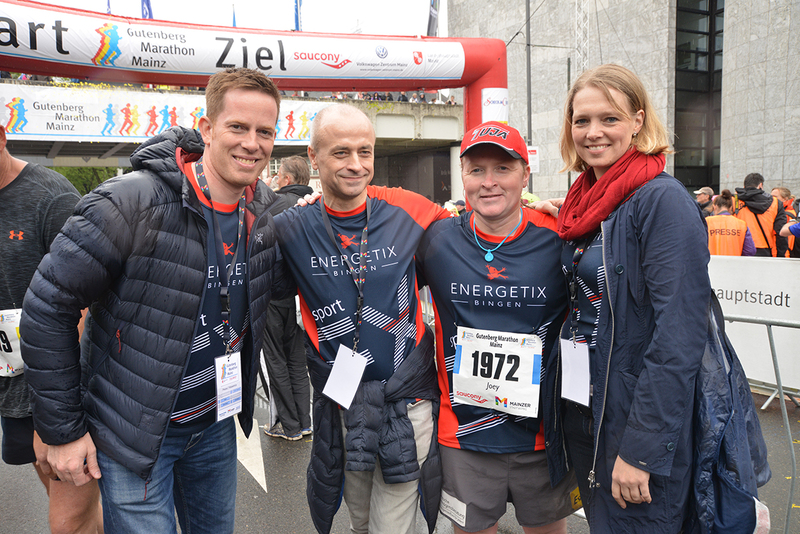 Once again, a dedicated team of ENERGETIX runners took up the challenge of conquering the good 21 kilometres in 2017. And mega-motivator Joey Kelly travelled to Mainz to accompany his charges across the finishing line once again. But ‘high and dry’ wouldn’t be the right thing to say here because it rained on the said Sunday and, although there were a few dry spells, everyone still got wet. The around 70 runners, however, didn’t let that spoil their fun in any way! 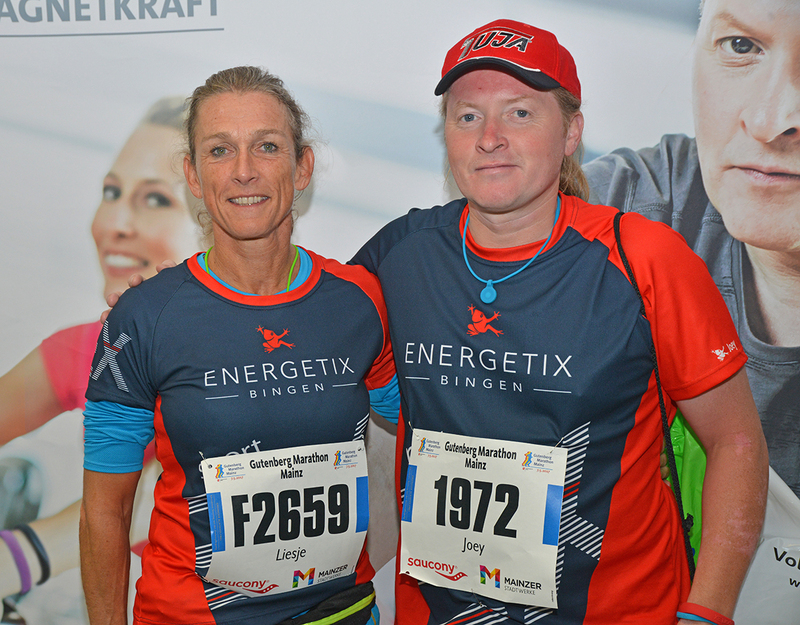 More than 5,700 participants completed the half marathon and a good 70 of these were easily identifiable as ENERGETIX runners by their blue-and-red shirts. 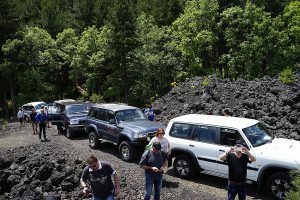 They had trained hard and had travelled from all over Germany and Austria to join in the fun and battle through kilometre by kilometre for themselves and their team. And Joey did his utmost to motivate his ENERGETIX team to make sure that literally everyone got home with a medal. And he succeeded. Congratulations! The exhausted and delighted expressions on the faces on the ‘Frog runners’ as they crossed the finishing line speak volumes! 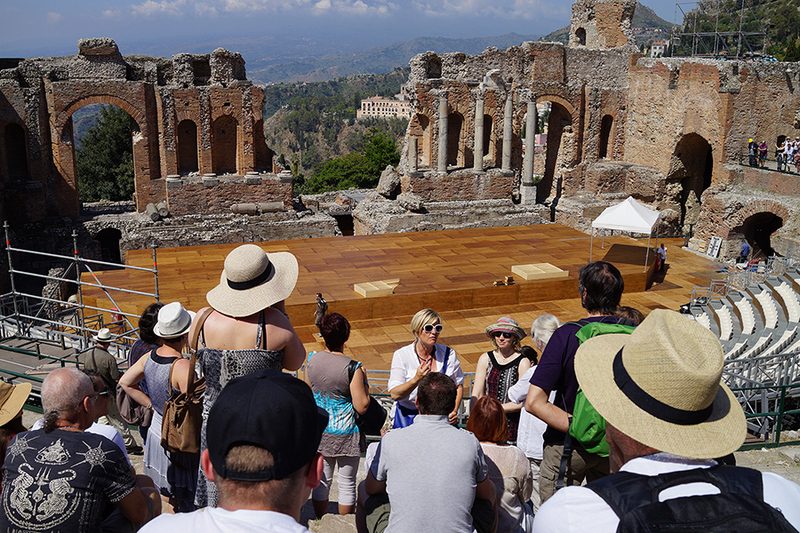 Immediately after the run, the likeable and multi-talented Joey had to head straight for the ZDF TV channel afterwards where host Andrea Kiewel, his brothers and sisters and a delighted audience awaited a performance by the Kelly Family! 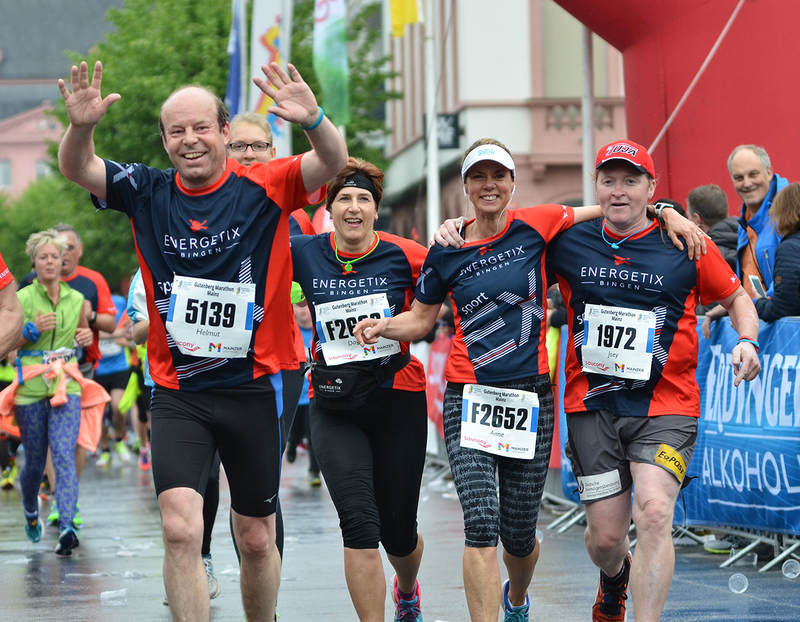 The day before, runners had been given the opportunity to discover everything about running at the Marathon Fair in the Rheingoldhalle. Also present: a stand organized by ENERGETIX business partners who presented the new two-tone design of the popular sportEX bracelets in front of the smart new sportEX trade-fair wall. 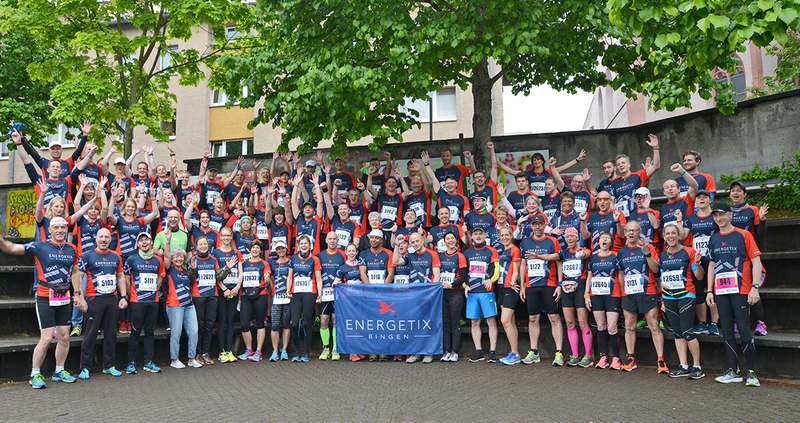 Great tradition: the ENERGETIX team consisting of independent ENERGETIX business partners, staff and friends of the company took up the sporting challenge to run together for a good cause. 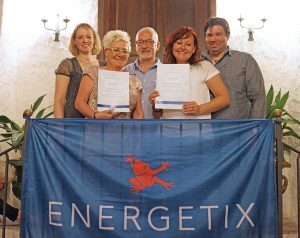 Two euros per kilometre were again donated to ENERGETIX’s charity partner in South Africa, the Hugo-Tempelman Foundation. 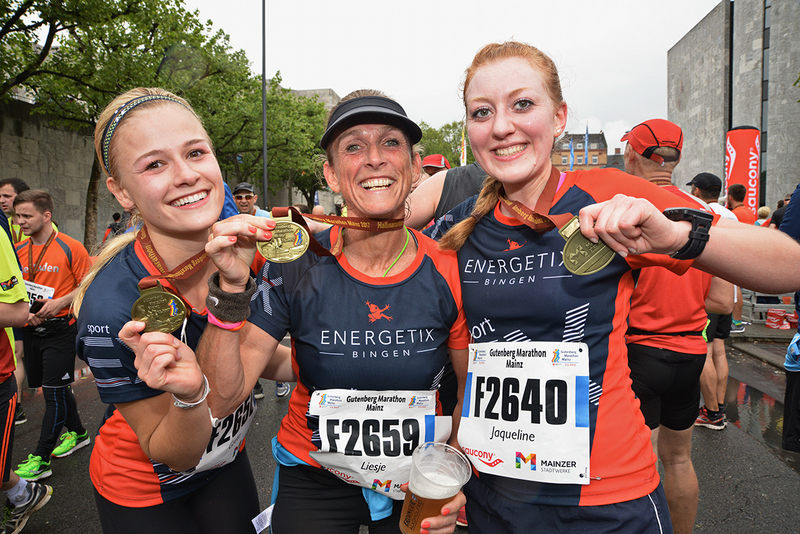 We would also like to thank the organizing team and the massage team, which was so important to the runners, for their active support and all the fans who cheered the runners on along the route! 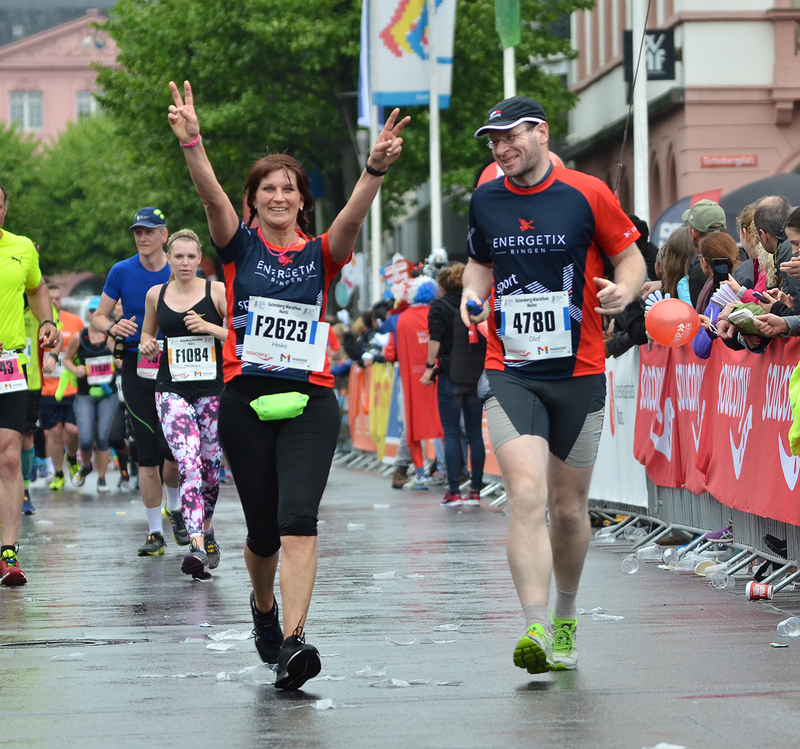 We have put together an exclusive compilation of the most moving impressions of the mega event in Mainz for you here. 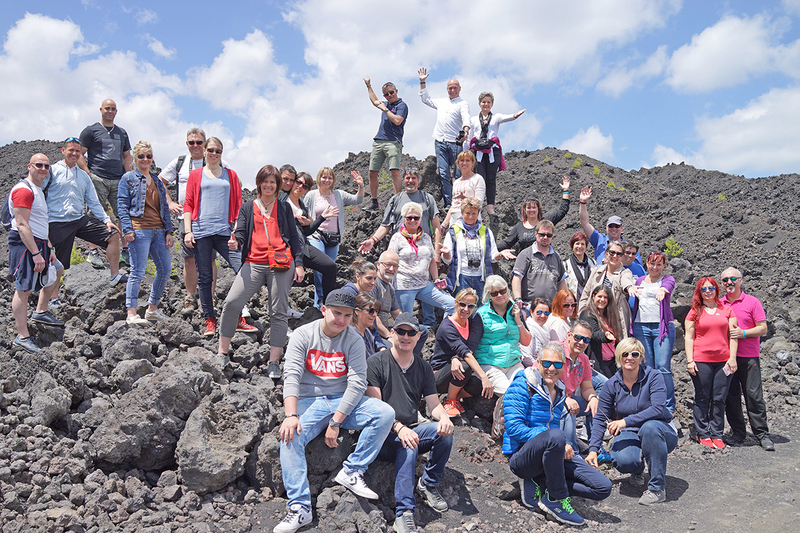 On Friday and Saturday, ENERGETIX’s most successful business partners came together for an intensive two days of training just before the mega sports event on 7 May. Those who are admitted to the renowned STARCLUB as independent business partners have produced outstanding performances and are recognized accordingly. ENERGETIX sends out invitations to its stars several times a year to receive exclusive first-hand news, to exchange experiences with others and to relax together and enjoy an exclusive entertainment programme as well as to gather strength for the months ahead in atmospheric surroundings. The Novotel, situated at the heart of the capital city of the Rhineland-Palatinate, constituted the ideal venue for this international event. The warm welcome was followed by ENERGETIX’s management – Roland Förster, Alexander Link and Jessica Schlick – presenting current innovations and plans for the future of the successful network-marketing company. A lively exchange that benefited all sides rounded off the afternoon before the members proceeded to the evening event with the emotional ceremony to recognize new STARCLUB members and the party afterwards at the Kupferberg Terrace event location. Saturday saw the happy stars take an entertaining and informative tour of Mainz. Besides a trip to the church of St. Stephan with its world-famous Chagall windows, the participants also enjoyed a culinary excursion that focused on the topic of wine and chocolate. A really successful conclusion to an intensive and emotional two days’ meeting of the STARCLUB! 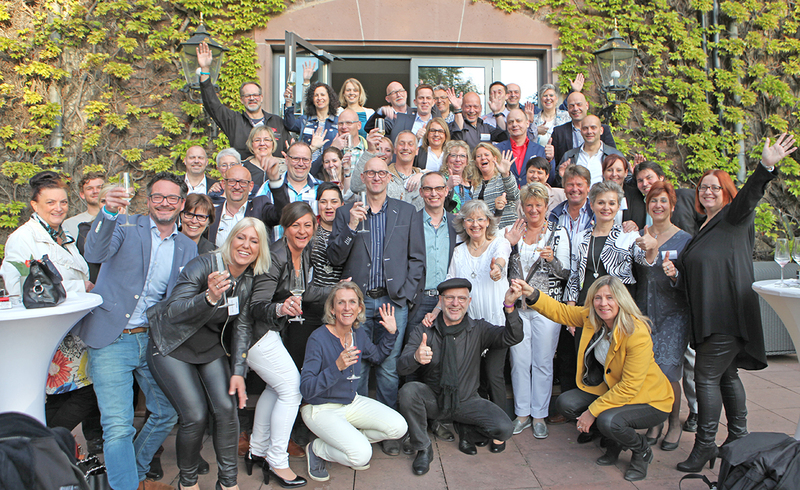 Forty-two highly motivated business partners from Belgium, Denmark, Germany, the Netherlands and Switzerland returned home to their teams with fresh information and renewed motivation. We wish everyone great success! 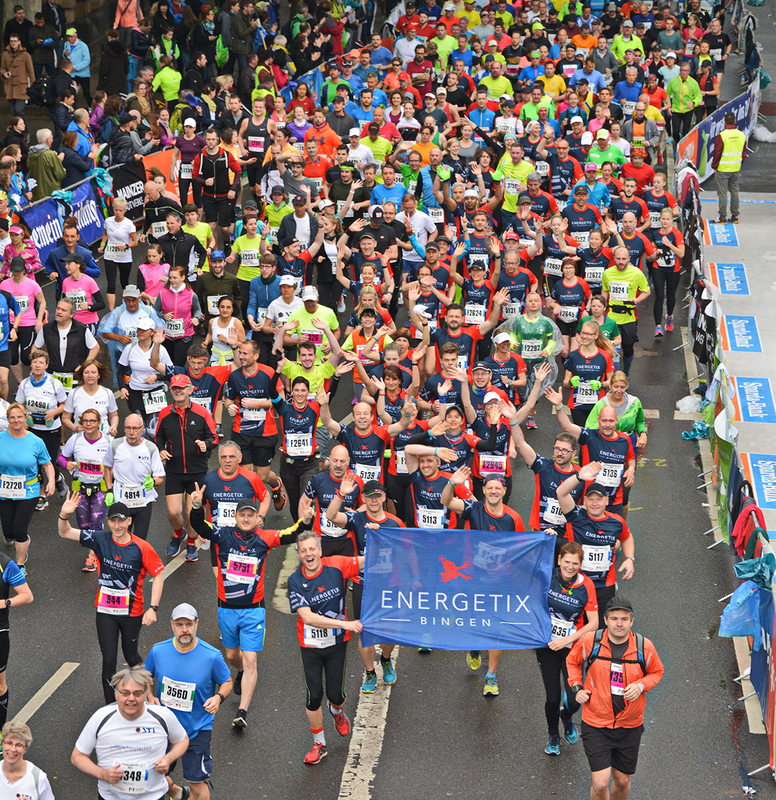 Many cheered on ENERGETIX’s half-marathon runners at the Gutenberg Marathon on Sunday. With success: all members of the team reached the finishing line after a good 21 kilometres. Congratulations!